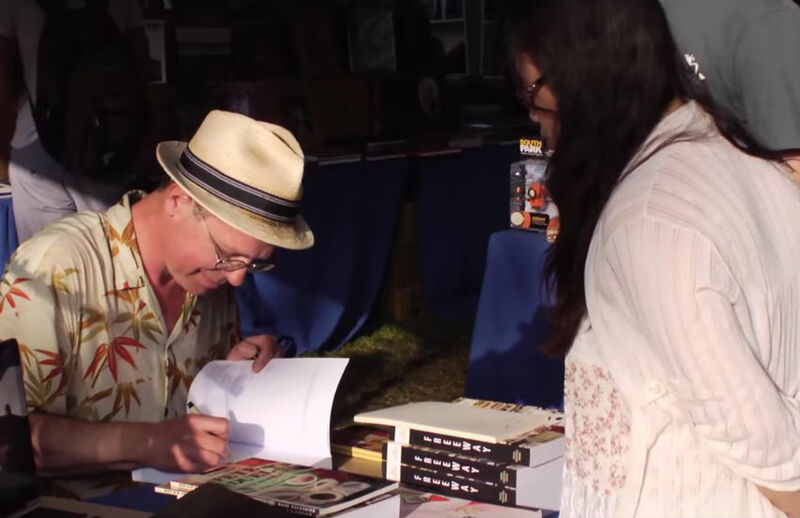 The L.A. Times Festival of Books, the local lit lover’s paradise, has expanded significantly over the years. This year’s schedule, announced late last week, boasts an exorbitant (and exciting) number of readings, talks, panel discussions and appearances by literary giants such as Malcolm Gladwell, T.C. Boyle, Jonathan Lethem, and Aimee Bender. It’s going to be one hectic weekend on the USC campus, but fear not: we’re here to help you manage the melee. We’ve put together a guide of the very best this year’s fest has to offer. Cecilia Woloch is the author of six books of poetry, most recently the chapbook Earth and the novel Sur La Route. In the words of National Book Award winner Terrance Hayes, “Cecilia Woloch writes with the wonder and resilience that are essential, not only to empathy, but to transformation […] These remarkable poems are hymns and requiems; they are made of ‘blood mixed with earth’.” We concur. In her poem “I once was a child am a child am someone’s child,” Victoria Chang writes, “one year everyone got a spinning top / one year everyone got a tap on their shoulders / one year everyone was fired everyone / fired but me one year we all lost our words one year / my father lost his words to a stroke …” The Huffington Post calls Chang “a poet to watch because her verse dares to encounter what too many poets either ignore or altogether fail to understand: the self-imprisonment attendant upon regularized labor. These are musical, imagistically arresting, and rigorously intelligent poems.” Victoria Chang is the author of three books of poetry, most recently The Boss (winner of a PEN Center USA literary award and a California Book Award). Poet and novelist Kim Addonizio will be reading from her new book My Black Angel, Blues Poems and Portraits—a collection that pairs her poems with a series of woodcut effigies that artist Charles D. Jones created in response. In her poem “Generations,” Addonizio writes, “Somewhere a steak is wrapped in thick paper, / somewhere my grandmother is laid in the earth, / and my young father shines shoes on a corner, / turning his back to the Old World, forgetting.” You can read another favorite, “What Do Women Want?,” here. The fact that women are hilarious shouldn’t be news; sadly, the gender’s unfunny stigma still needs to be debunked. Our own L.A. By the Slice writer Ann Friedman will moderate what is sure to be a lively discussion amongst female powerhouses including The Toast co-creator and author of Texts from Jane Eyre Mallory Ortberg, YouTube treasure and author of The Misadventures of Awkward Black Girl Issa Rae, and Notes to Boys (and Other Things I Shouldn’t Share in Public) author Pamela Ribon. T.C. Boyle is one of the most celebrated novelists and short fiction writers working today. His new novel, The Harder They Come, is his twenty-fifth book of fiction. The Harder They Come is a meditation on American gun violence told through the perspectives of the mentally ill shooter, the shooter’s father, and the shooter’s lover. You can read an excerpt from the opening chapter in the March 2015 issue of Harper’s. For a fascinating look into Boyle’s writing process, check out his Art of Fiction interview in The Paris Review. Roz Chast is a staff cartoonist for The New Yorker (the magazine has published over 800 of her cartoons) and author of the graphic memoir Can’t We Talk About Something More Pleasant?, which won the 2014 National Book Critics Circle Award for autobiography. Bruce Eric Kaplan is the author and illustrator of ten books of cartoons and is currently a co-executive producer on HBO’s Girls. Mimi Pond has written and illustrated five humor books, for which she won the PEN Center USA award for Graphic Literature Outstanding Body of Work. Claudia Rankine’s Citizen: An American Lyric is an incredibly important, genre-bending book of prose poems, images, and essays exploring racism in America. Whether you are well-versed in the nuances of everyday racism or have never heard the term “microaggression”—this book is for you. Citizen was a 2014 National Book Award Finalist and made history for being the first National Book Critics Circle Award finalist in two categories, poetry and criticism (she won for poetry). You can also hear her read from Citizen on Saturday, April 18 at 2 p.m. on the Poetry Stage. Los Angeles Times national reporter Matt Pearce will moderate a conversation about what it means to produce creative work at a time when the technology for its dissemination is freely available to anyone with internet access. Critically acclaimed authors Vikram Chandra, Joshua Wolf Shenk, Jacob Silverman, and Scott Timberg have written books exploring the complexities of this increased access and transparency and their implications on creativity and on the self. Malcolm Gladwell is a staff writer for The New Yorker and the New York Times bestselling author of five books of nonfiction. Of his writing process, Gladwell says, “I have two parallel things I’m interested in. One is, I’m interested in collecting interesting stories, and the other is I’m interested in collecting interesting research. What I’m looking for is cases where they overlap.” His most recent book, David and Goliath: Underdogs, Misfits, and the Art of Battling Giants, collects anecdotes in which what appeared to be disadvantages—losing a parent, dyslexia, being rejected from one’s dream school—actually conferred unexpected advantages. Tickets go on sale to the public on March 25 and are currently on sale for Los Angeles Times subscribers. All tickets include a signed paperback copy of David and Goliath. Previous articleAsk Chris: Why Do Some Palm Trees Around the City Have Metal Bands Attached to Their Trunks?